Jana Sanskriti is internationally recognised as the most iconic post-Boalian Theatre of the Oppressed operation in the world today. This fully illustrated book by the Bengali company's founder and artistic director Sanjoy Ganguly, edited by Ralph Yarrow, collects and explains their programme of workshop exercises, placing them in the context of their social and activist work. A set of interviews with Ganguly complements these practical sequences, drawing in topics such as the role of the joker, the nature of development, participation and agency, aesthetics as transformation, and Theatre of the Oppressed in the context of a market economy. 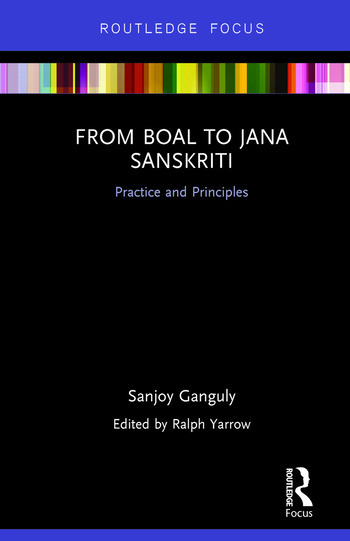 Sanjoy Ganguly is the founder and Artistic Director of the Jana Sanskriti Centre for the Theatre of the Oppressed, in West Bengal, India; considered by Boal the chief exponents of his methodology outside his native Brazil. He is the author of Jana Sanskriti: Forum theatre and democracy in India (2010). Ralph Yarrow is Emeritus Professor of Drama and Comparative Literature at the University of East Anglia.